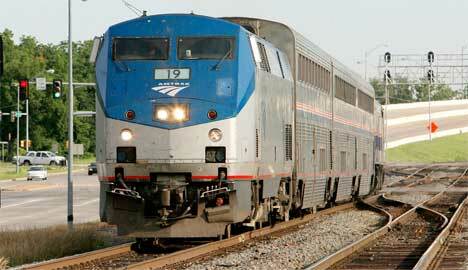 If you smell hamburgers the next time you board an Amtrak train, there might be a good reason. The company just launched their first biodiesel-fueled train, and it’s running between Oklahoma City and Fort Worth. Called the Heartland Flyer, it’s burning a blend of 80% diesel and 20% biofuel for a 12-month period. 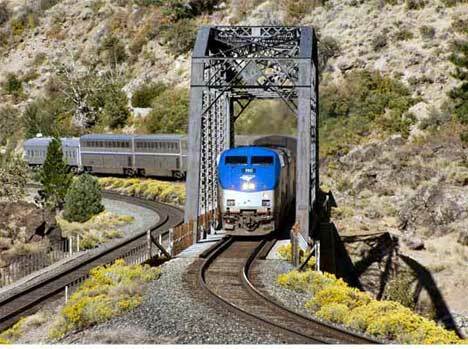 Over that year, Amtrak will study the train’s performance and try to determine if the alternative fuel has any effect, positive or negative, on the train’s emissions and mechanics. 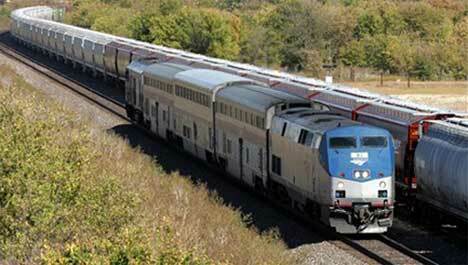 The test is being funded with a $274,000 grant from the Federal Railroad Administration and is the first of its kind for Amtrak. The only problem is that the biofuel Amtrak chose to use is of bovine origin: cow tallow. Since the beef industry is one of the worst polluters on the planet, it seems rather counter-productive to slap a green label on any of its products. Still, using this biodiesel mixture could reduce the train’s carbon monoxide emissions significantly. And with the train running between Oklahoma and Texas it’s not a big surprise that cows are in the mix somewhere. Hopefully if the preliminary year-long test is successful, Amtrak will look into using biofuel of a less Earth-unfriendly origin. See more in Mass Transit or under Transportation. May, 2010.